Bežične in-ear slušalice sa daljinskim upravljačem s 3 gumba te mikrofonom. Trajanje baterije 6 sati. Handsfree pozivi. 12.5mm driveri. Ergonomski oblikovane slušalice. For over 70 years, JBL has engineered the precise impressive sound in big venues around the world. These headphones reproduce that same JBL DNA, punching out bass that's both deep and powerful. 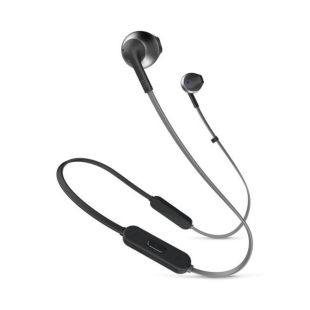 The soft, ergonomically shaped earbuds allow you to enjoy your music in full comfort.